Home » britney spears , humor , music , transformers revenge of the fallen » "What the heck am I gonna do with this?!" "What the heck am I gonna do with this?!" That was the question I was asking everyone late on Tuesday night at the Palladium in High Point when we were there to see Transformers: Revenge of the Fallen. The crew from 107.5 WKZL FM was there giving out prizes during a Transformers trivia contest. Phillip and Matt and I were sitting up around the top rows of the theater and one of the 107.5 guys asked "What does Barricade transform into?" I raised my hand and shouted "Police car!" Which was the right answer. So I ran down to collect my reward. 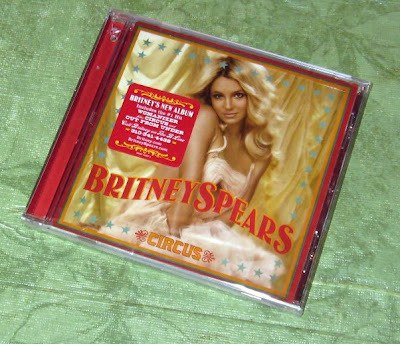 A copy of Britney Spears' new CD Circus! didn't Britney have a bit part in the movie?